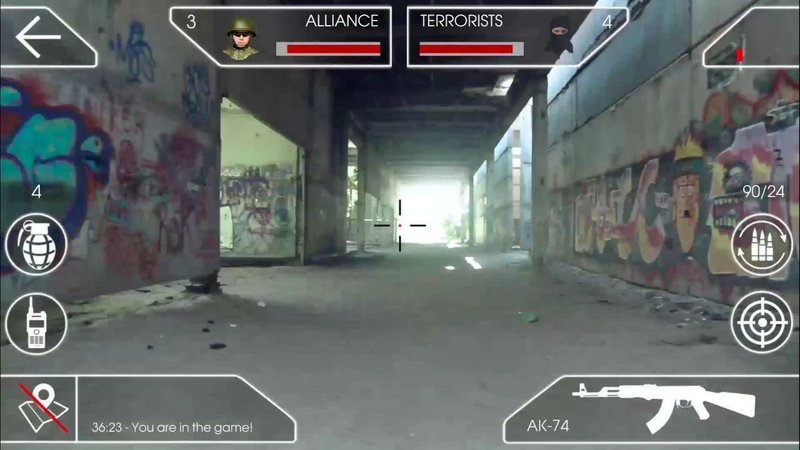 1.5 Hybrid War - AR: the Shooter in Augmented Reality. 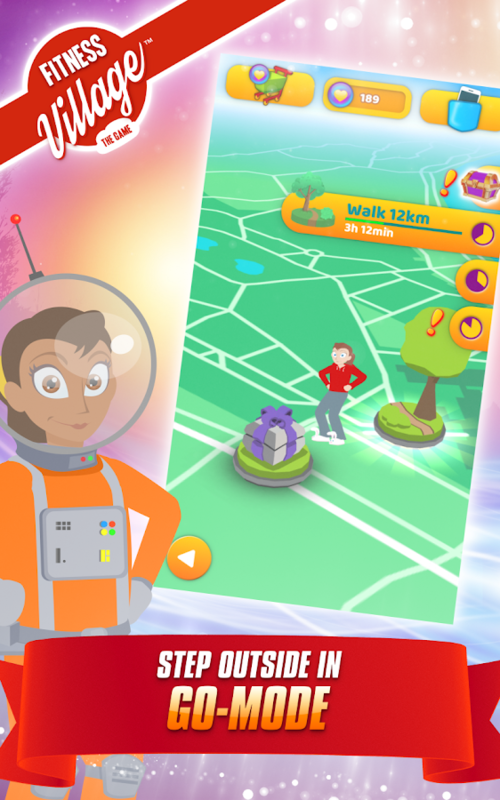 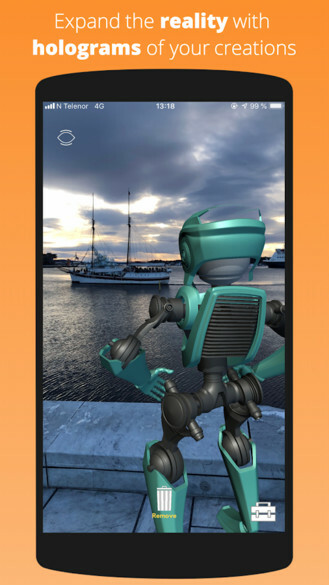 Back at the end of 2017 Mighty Coconut released an interesting augmented reality game called 57° North. 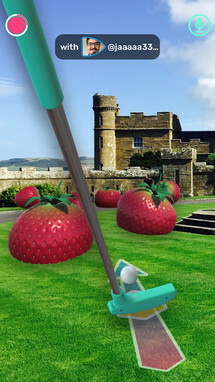 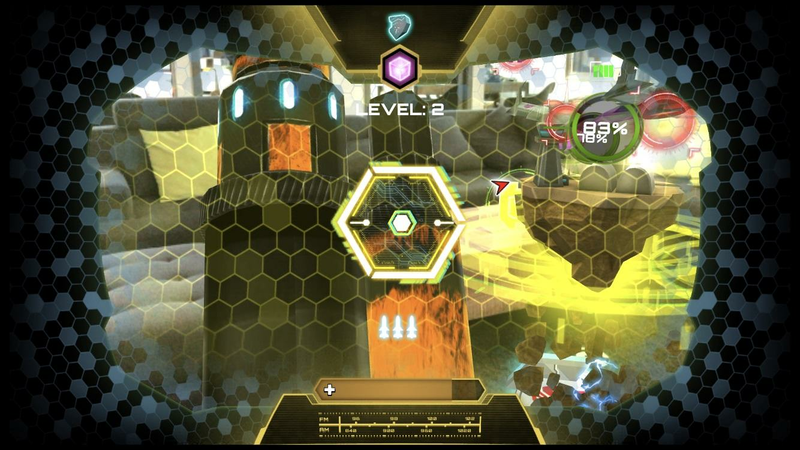 It directly tied into a third-party peripheral that made for a unique augmented reality gameplay experience. 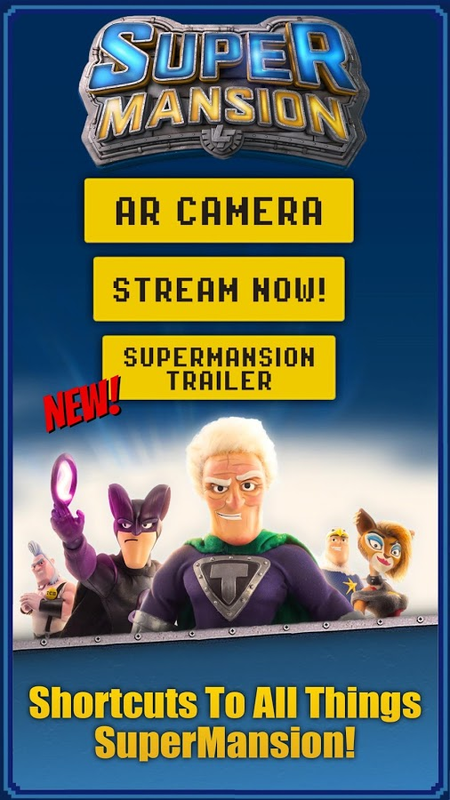 Well, the studio has a new AR game available for Android that also works with VR, and it too is a very interesting release. 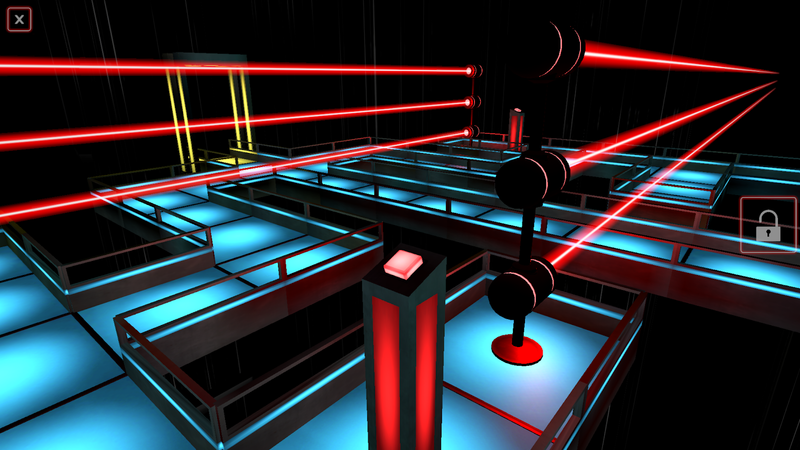 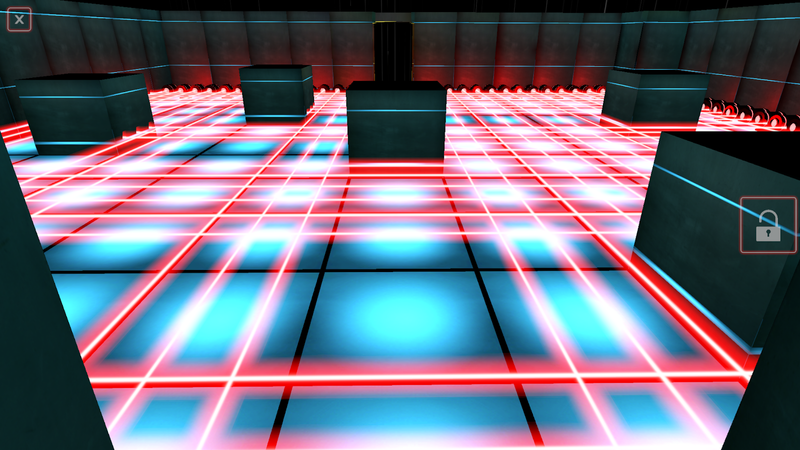 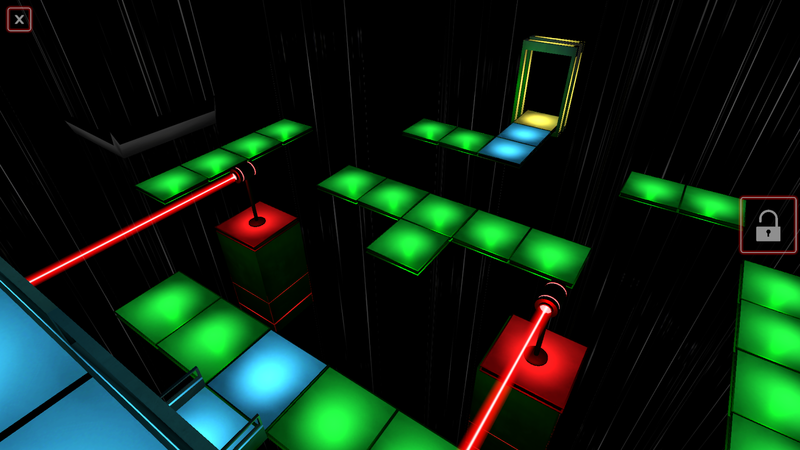 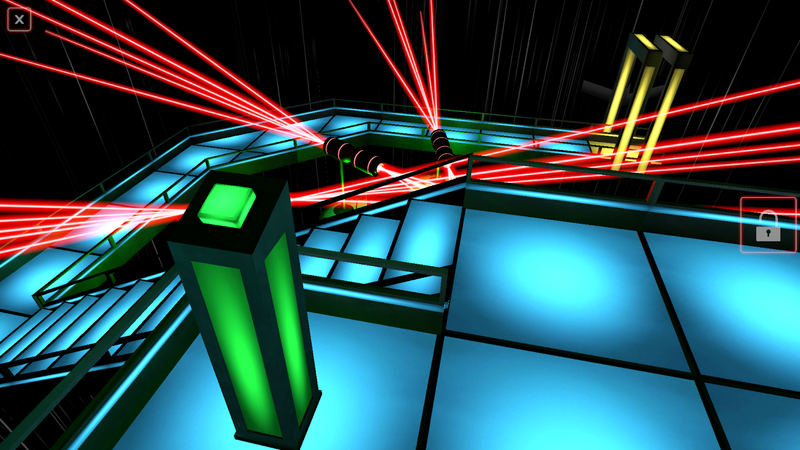 Laser Mazer is a game that you'll have to play on your feet. 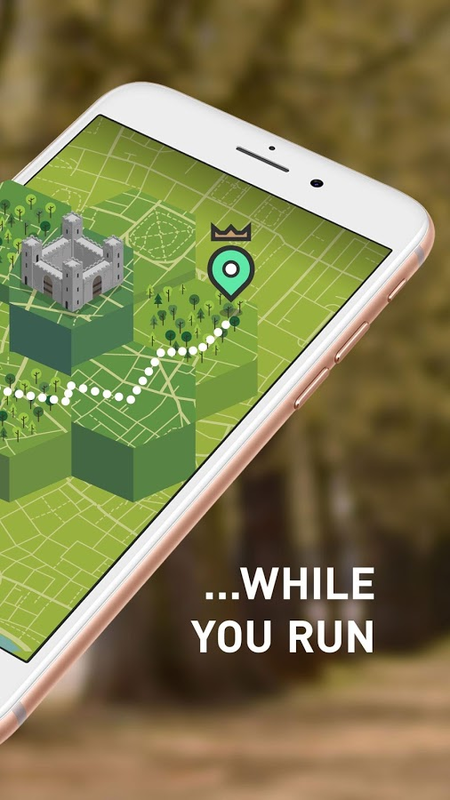 You'll spend your time exploring augmented reality mazes that are displayed on your immediate surroundings through your phone's screen. 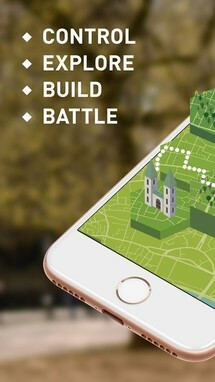 To solve each maze, you'll have to walk through them physically, which is a very cool idea that actually works well in practice. 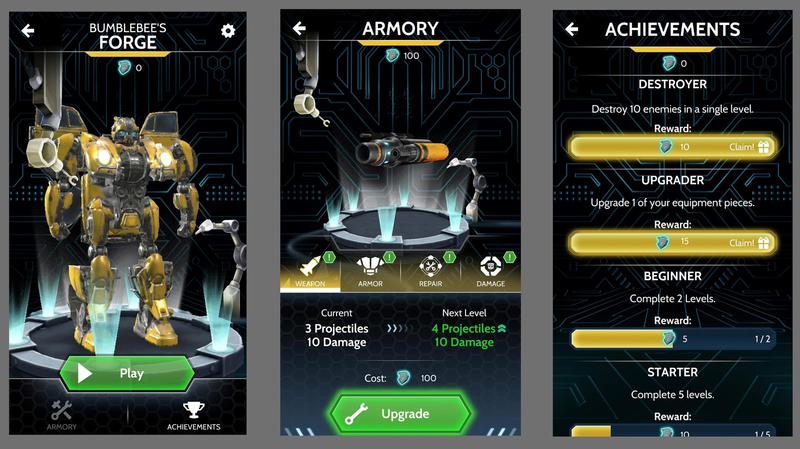 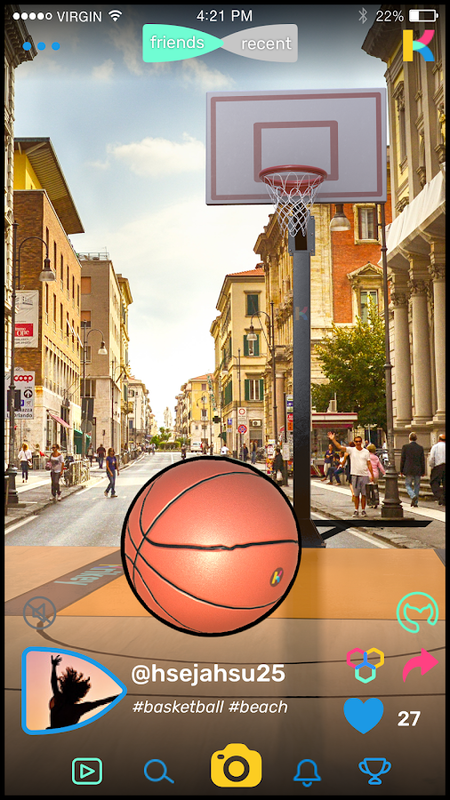 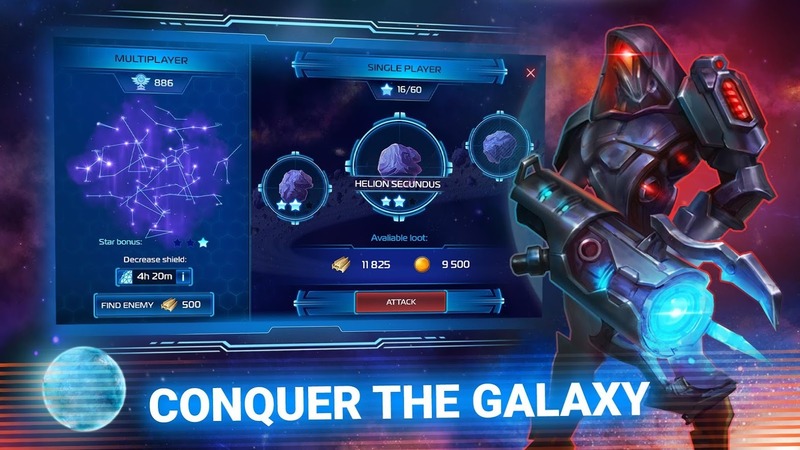 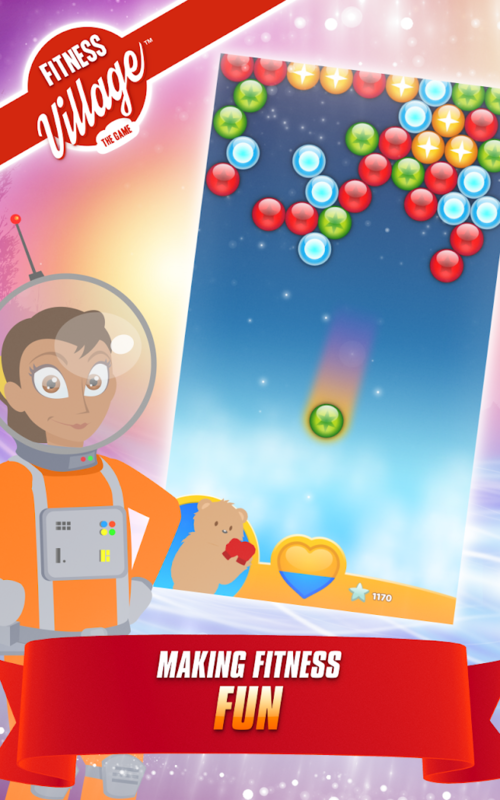 Krikey serves as a social media app that makes it easy to find and launch a wide selection of AR games. 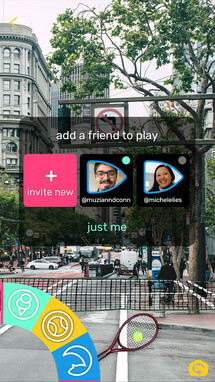 You can choose to play these games with your friends, complete strangers, or on your own. 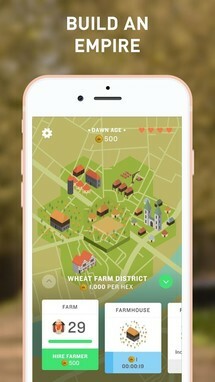 New games are added to the service all the time, and one of the more recent titles is an adorable pig AR game that celebrates the Year of the Pig. 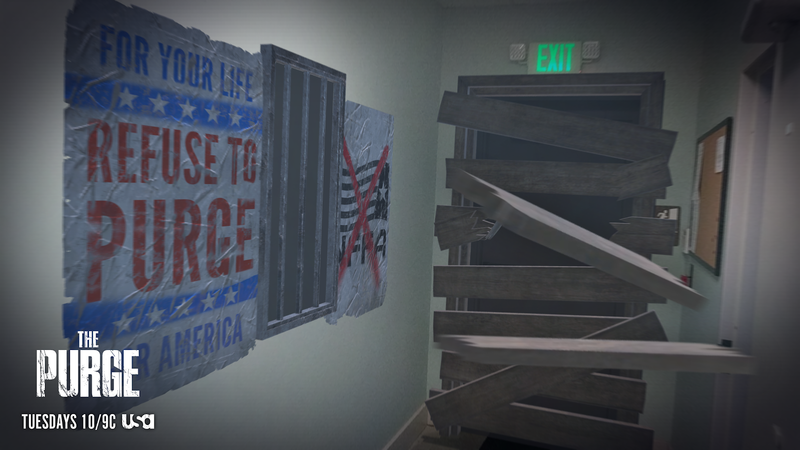 THE PURGE AR is an augmented reality app from NBC Universal that ties into The Purge series of films. If you have yet to watch one, the basic premise is that it's A-okay to kill anyone you want on a specific night of the year. 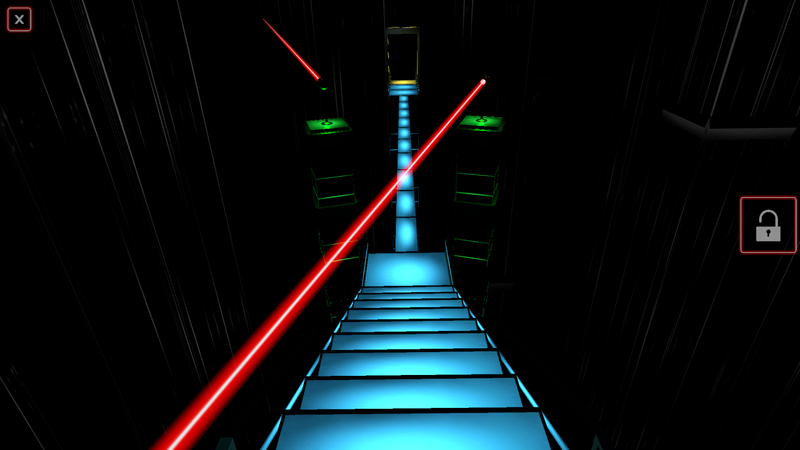 This title will allow you to experience what that may feel like through its gameplay. 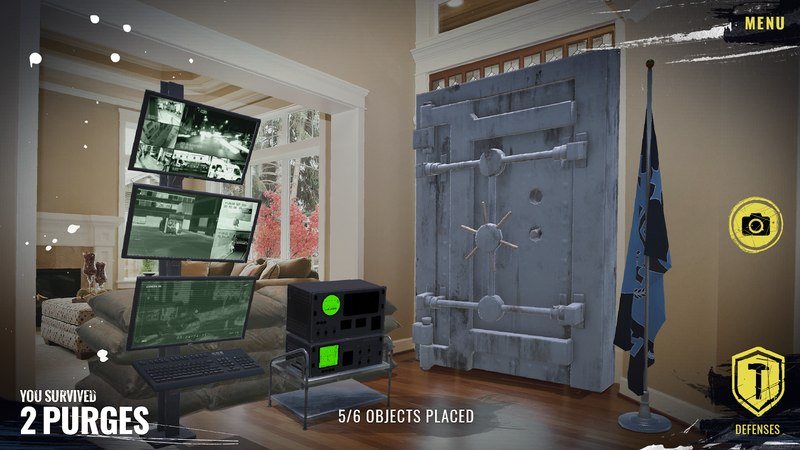 So if you're interested in collecting digital items that can be used to shore up your in-game house to prevent an incoming slaughter, this is the AR game for you. 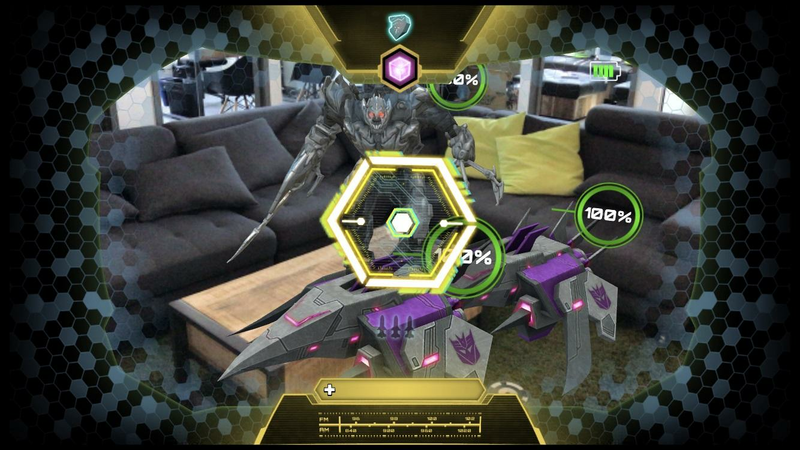 Bee Vision Bumblebee AR Experience is a tie-in release for a toy from Hasbro. 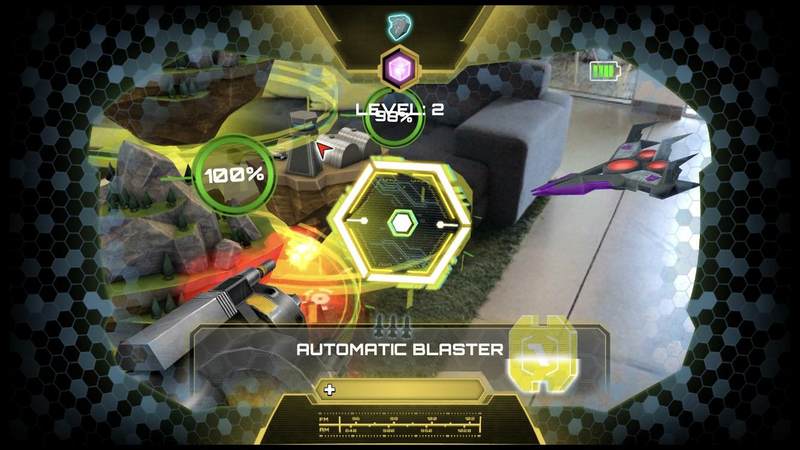 This toy comes with a Bee Vision Bumblebee AR mask, AR goggles, a gauntlet, three AR markers, and instructions. 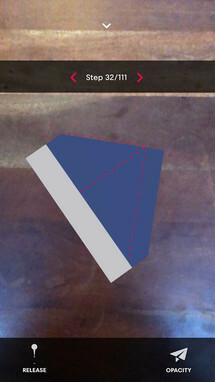 The three markers are used for spatial recognition. 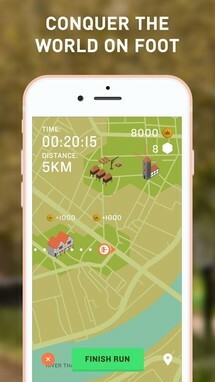 Once you install this app, it will instruct you where to place your markers, and then you can scan your wearable gear so that the app's included shooting game can boot. 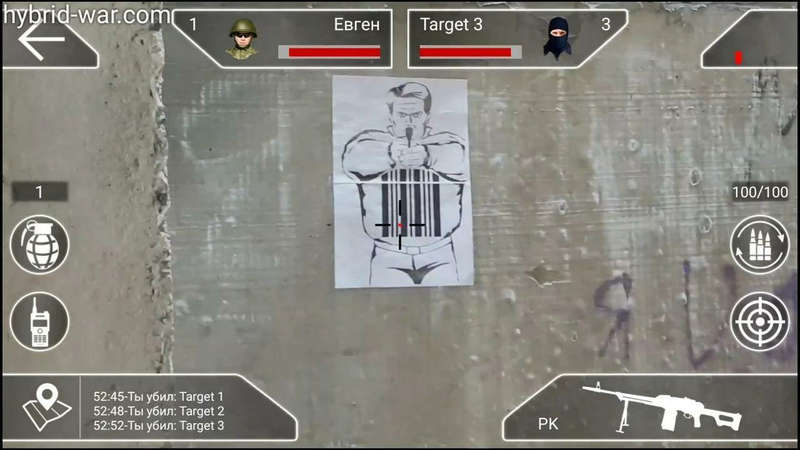 Hybrid War - AR: the Shooter in Augmented Reality. 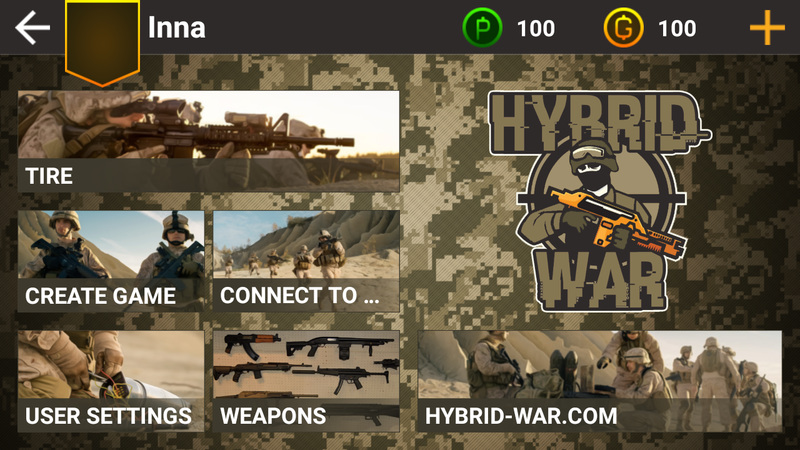 Hybrid War is an augmented reality shooter that plays a lot like a game of laser tag. 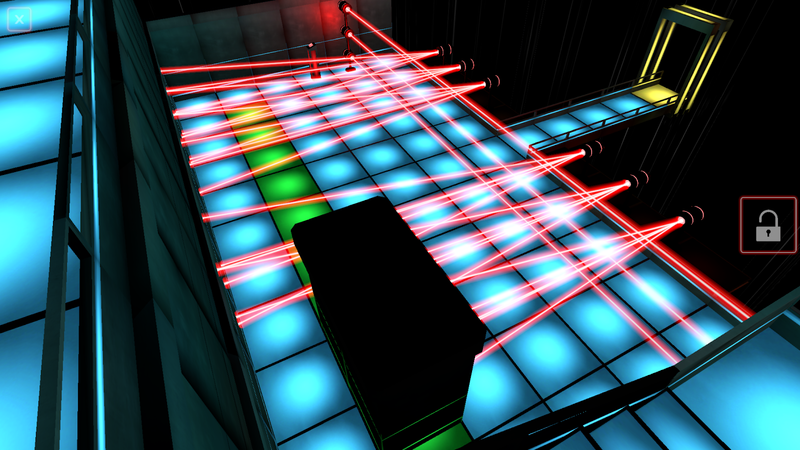 You'll have to print out a few barcodes, strap them onto your friends, and then it's off to the races. 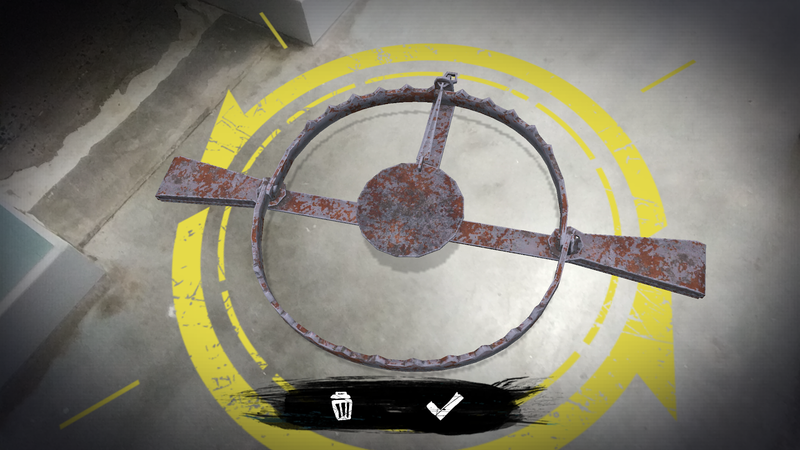 You can use your phone's screen as your sights, so when someone happens to cross your path, you can make sure to blast them to smithereens with some precision. 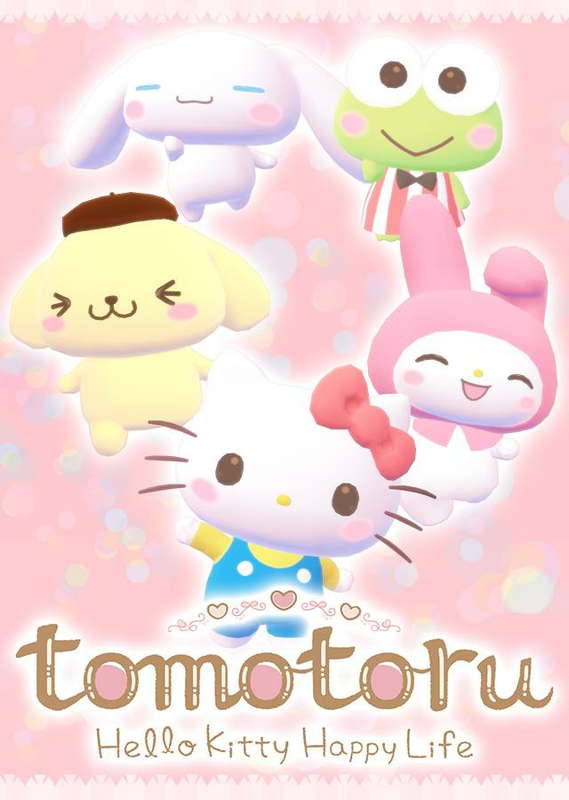 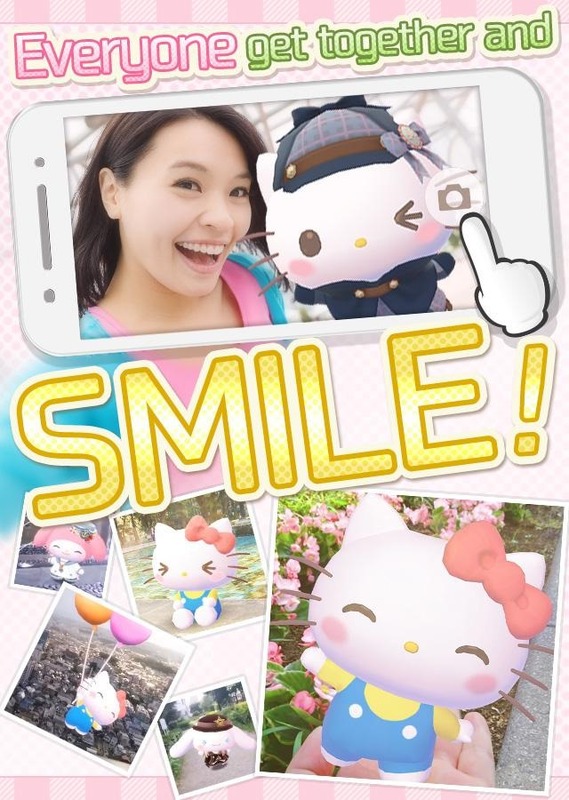 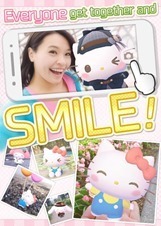 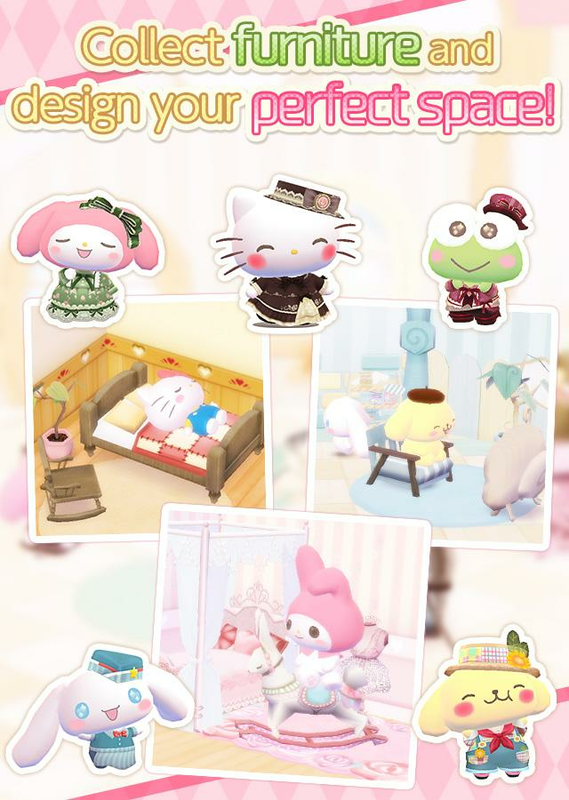 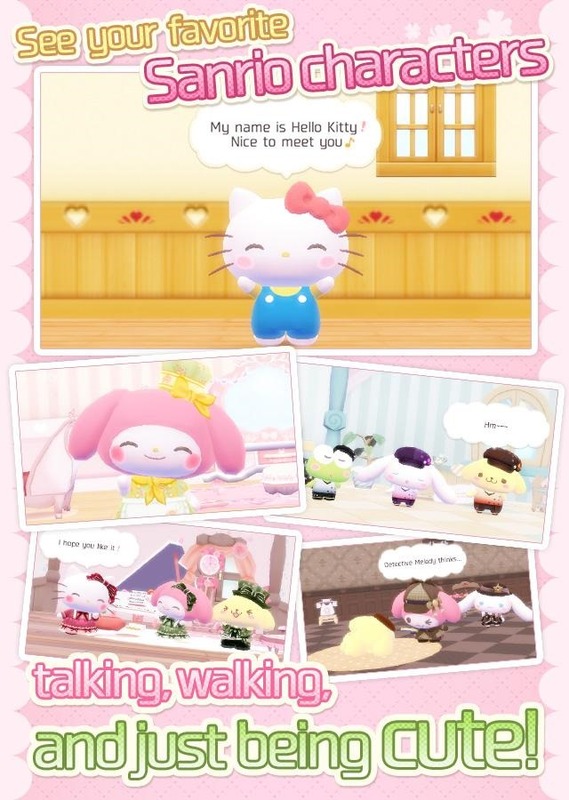 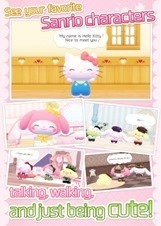 Hello Kitty is a gigantic property, and there are already many games available on the Play Store that take advantage of the lucrative license, but none of them offer anything quite like tomotoru. 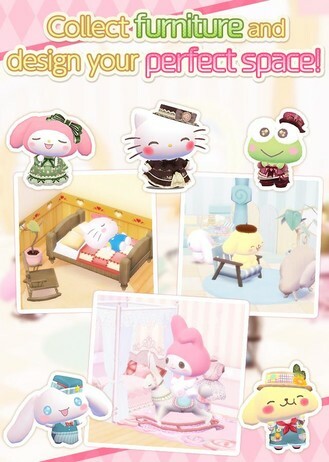 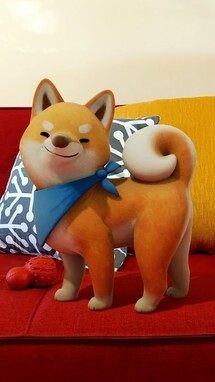 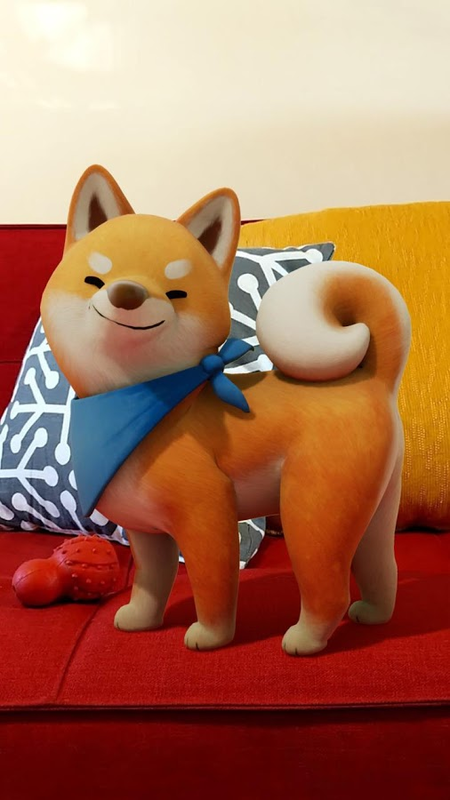 The gameplay is somewhat similar to the Nintendo 3DS title Animal Crossing: Happy Home Designer, in that you get to design and decorate rooms in a digital house. 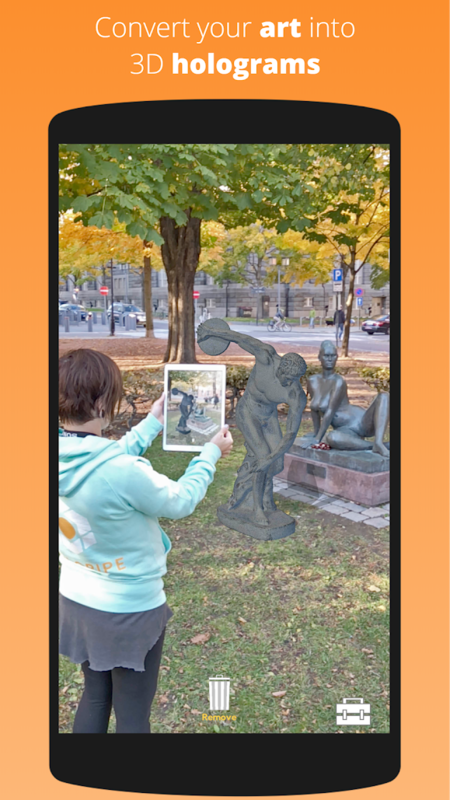 But there's also an augmented reality aspect to this release that will let you pose inside of your creations, which adds an interesting and personal element to the central theme of the title. 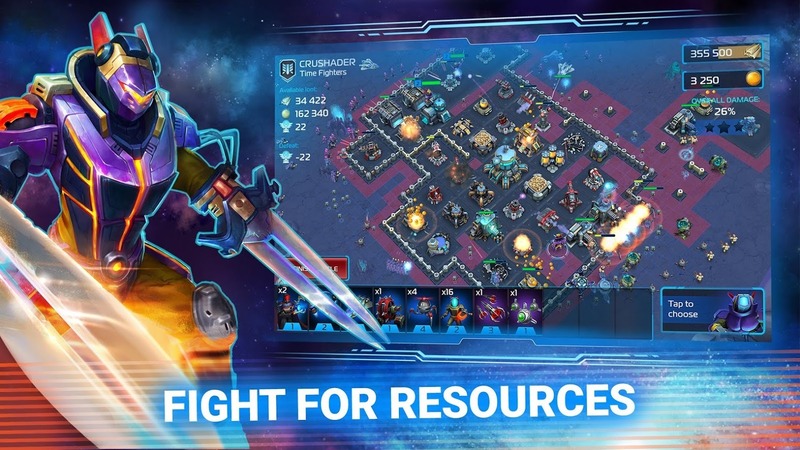 Clash & GO: AR Strategy offers gameplay similar to that of what you'd find in Clash of Clans, but it also contains quite a few Pokémon GO elements. 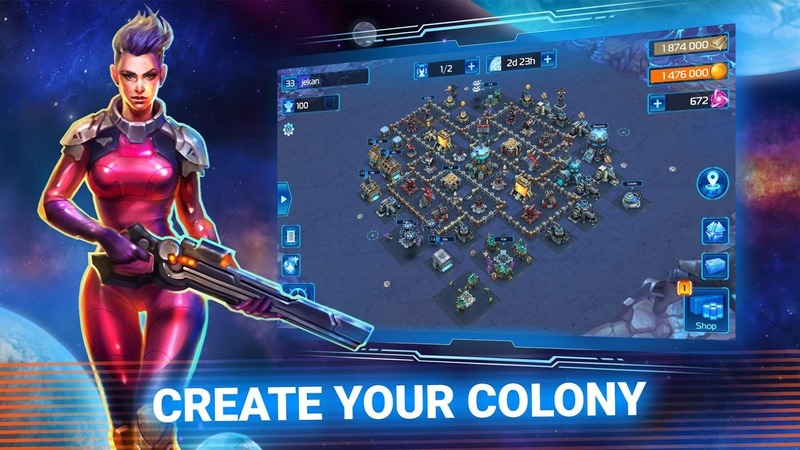 You'll want to build up your base so that you can establish your army as the most powerful. 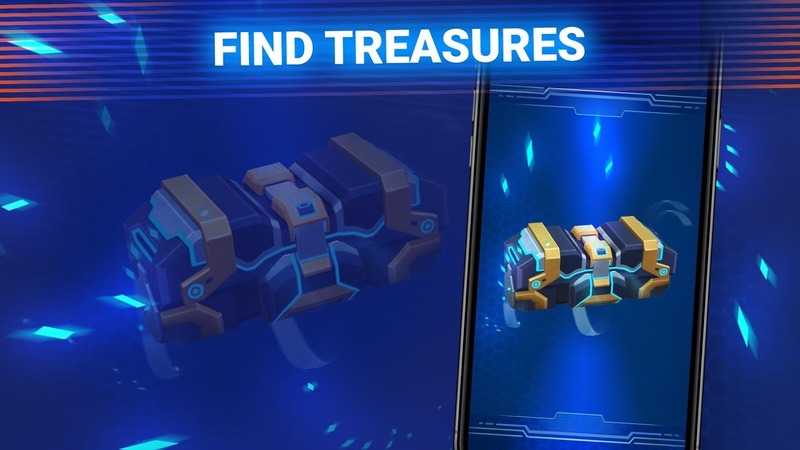 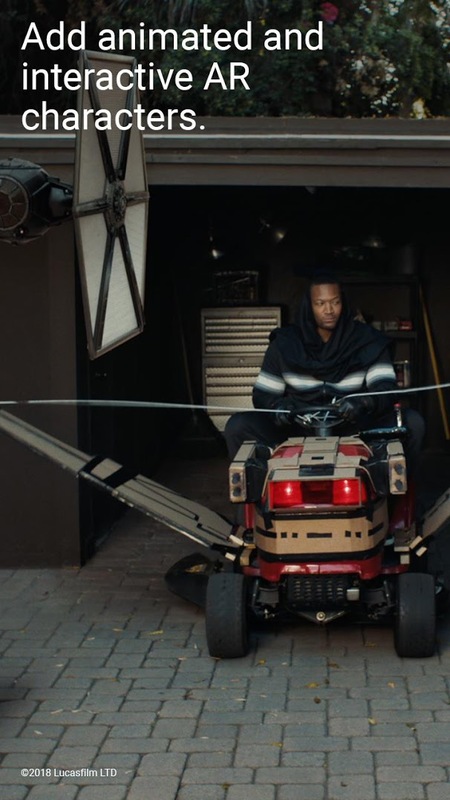 You can even venture out into the real world to capture the necessary equipment for your base's upgrades, but you'll have to compete with a bunch of players to snag those supplies first. 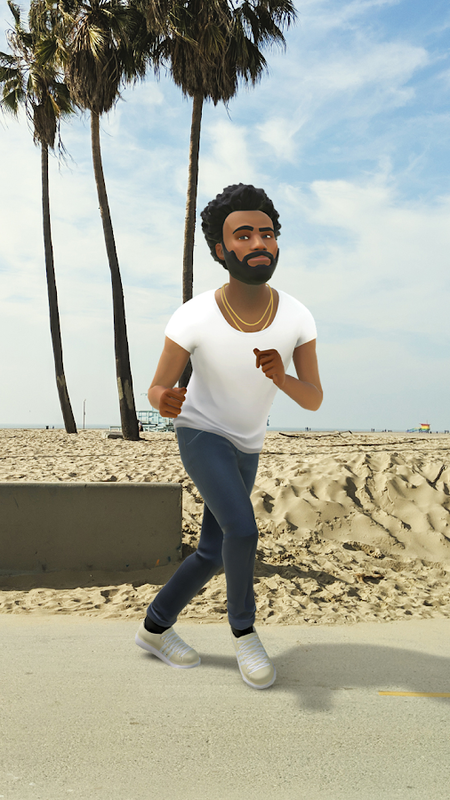 Creating a mobile game centered around exercising is nothing new at this point, though more options on the play Store never hurt. 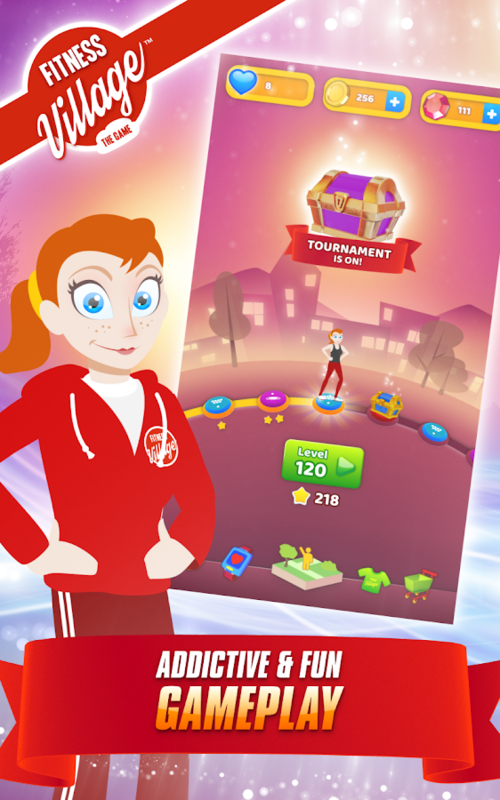 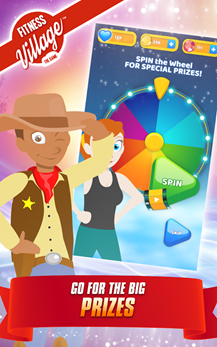 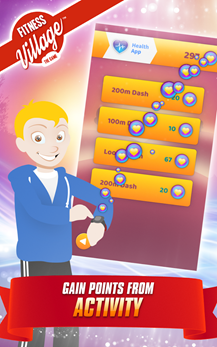 Fitness Village works a lot like any other gamified exercising app out there. 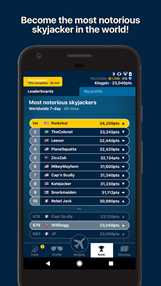 In order to incentivize people who don't want to work out into doing so, everyone gets to compare their progress on a global leaderboard. 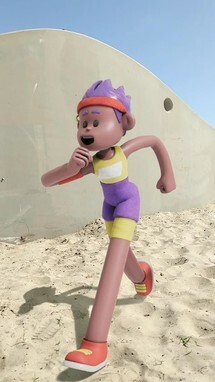 The nice thing is that you don't need a gym membership to compete. Every exercise in the app can be completed at home, and there is even an augmented reality mode for when you want to leave your house and exercise outside. Run An Empire offers another take on gamifying exercise. 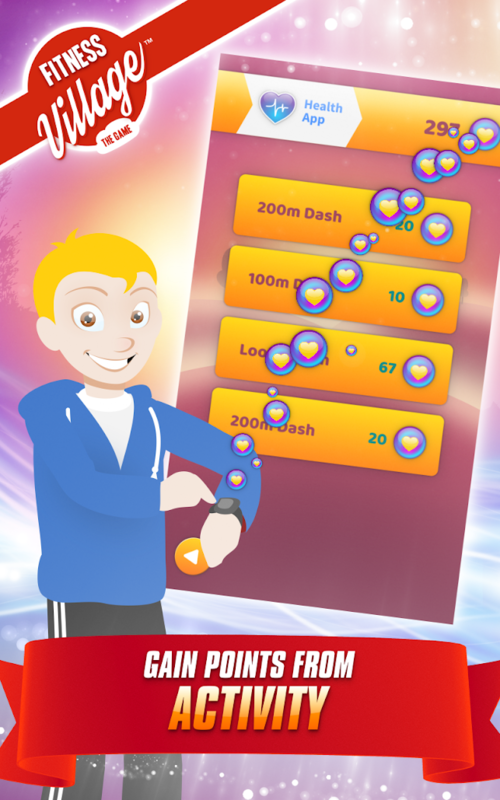 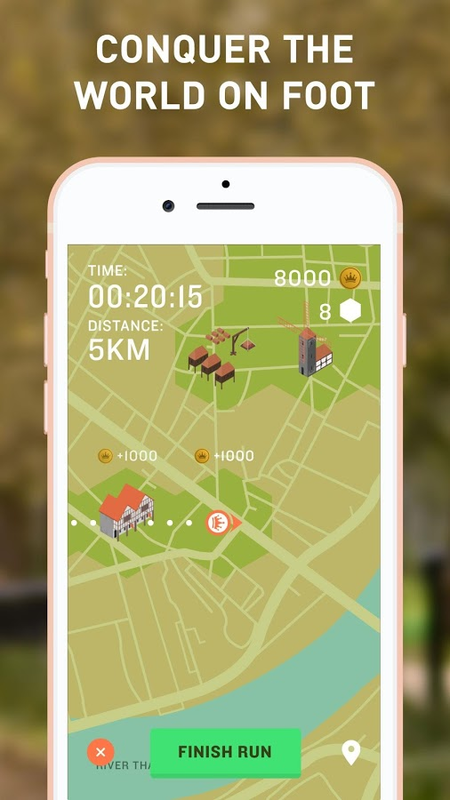 The app combines the basic gameplay concepts of the 4X strategy game Civilization with an exercise logger that concentrates on running, jogging, and walking. 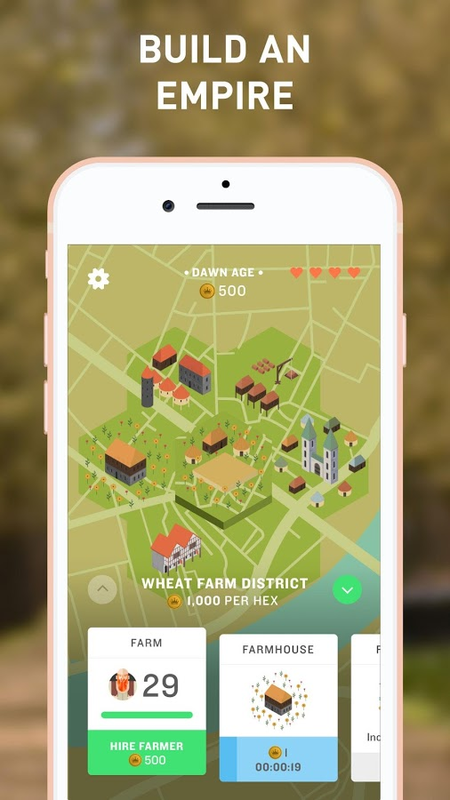 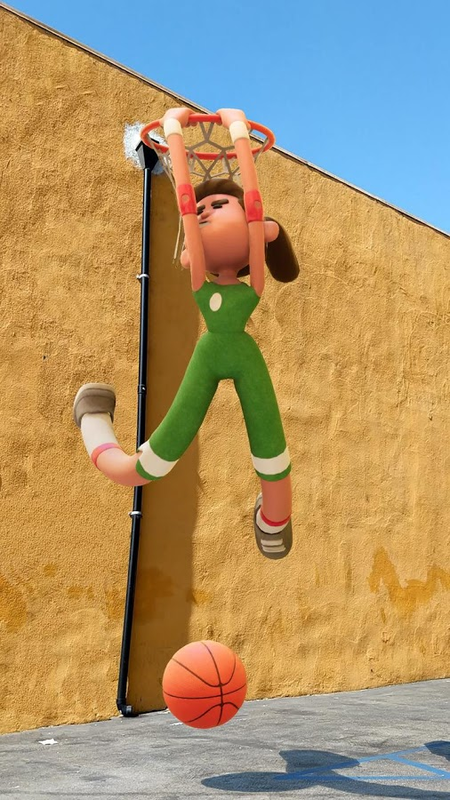 By running around certain areas, you can claim them in the game, but you'll have to make sure you exercise frequently, or else you may lose those territories to another player. 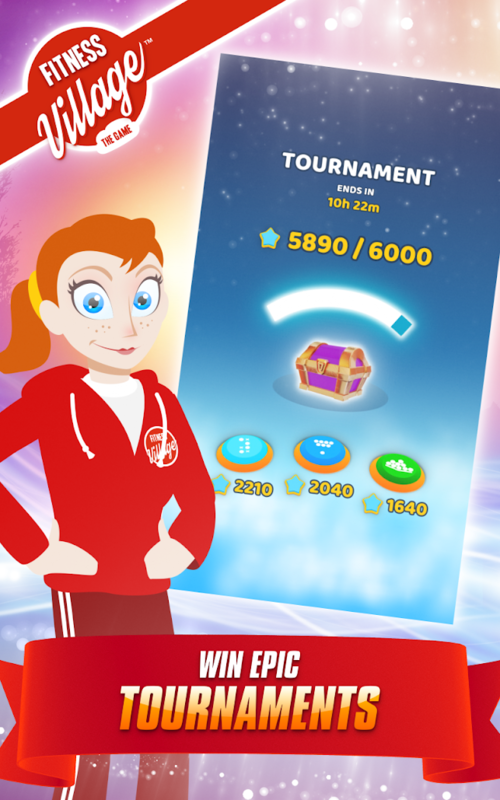 The gameplay works well enough, though the egregious IAPs means the game is slightly pay-to-win, which kind of ruins the competitive aspect. 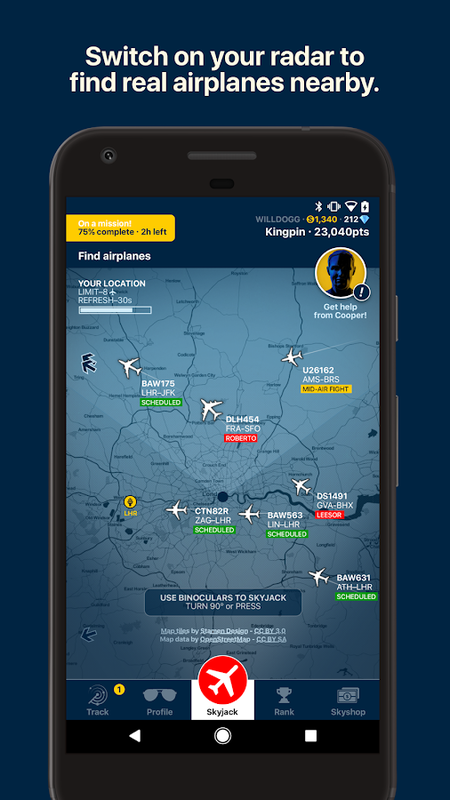 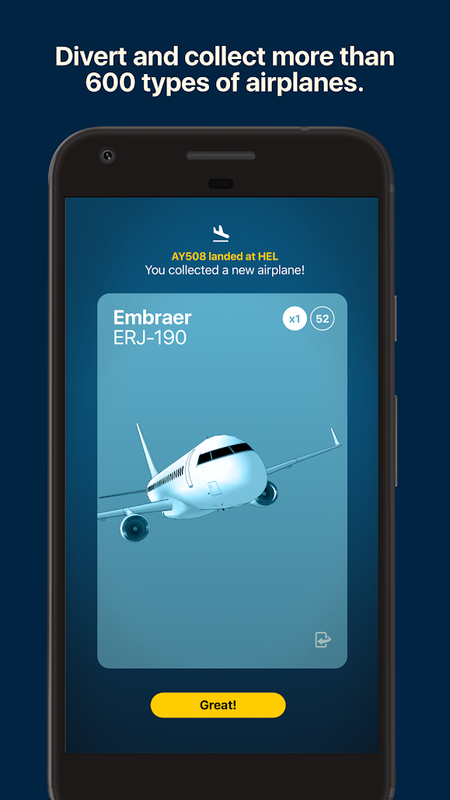 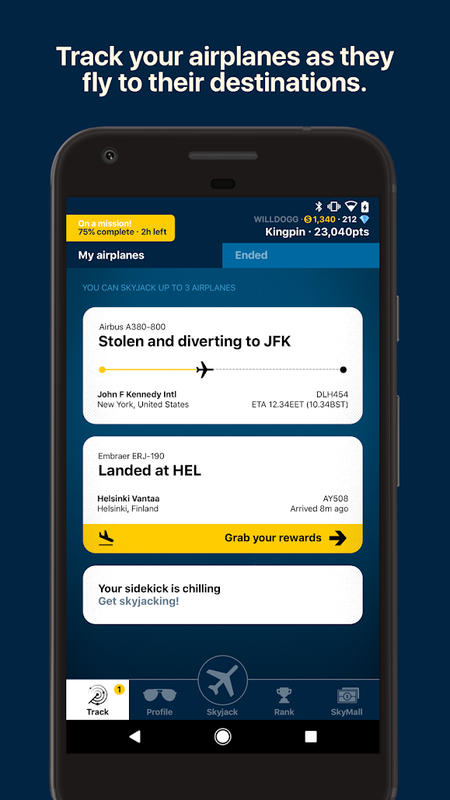 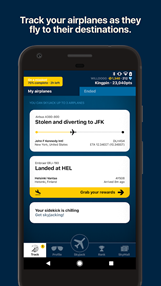 Skyjacker is an augmented reality game that uses the real-time flight data of commercial aircraft to provide a very interesting strategy game. You can grab a plane in the game by pointing your camera at one that is actually flying overhead in the sky. 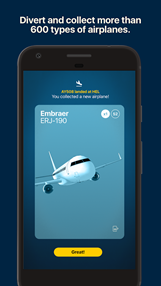 Not only will the game know what plane this is, but you'll also earn diamonds for completing specific quests with that plane. 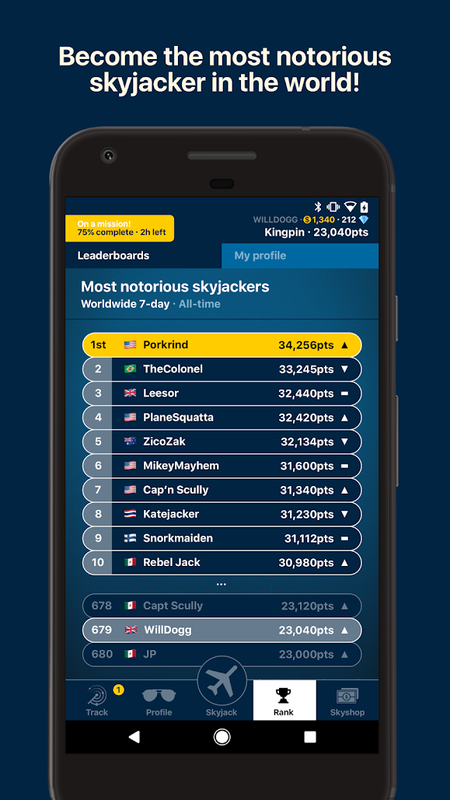 The more planes you hijack, the higher you can expect to find yourself on the leaderboard. 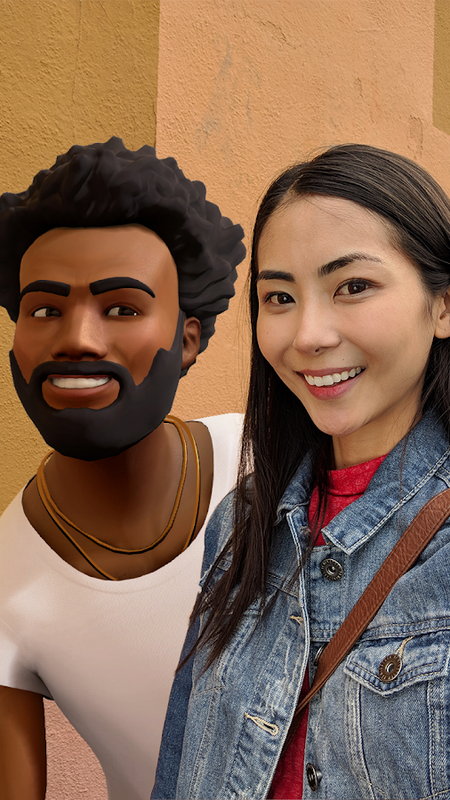 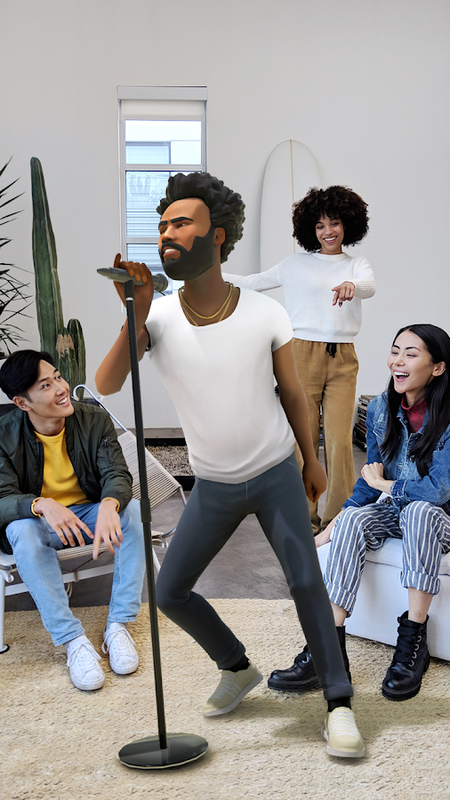 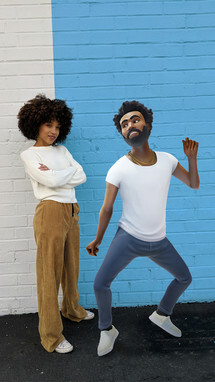 During Made by Google 2018 the company showed off a Playground app that contained the likeness of Childish Gambino, and despite the four-month delay, it would appear Google has finally published the app on the Play Store. The new release serves as a Playmoji pack for Playground that will allow you to create your own music videos while learning dance moves from a cartoon version of the rap artist, and it requires the latest version of ARCore and Playground to be installed before you can make use of it. 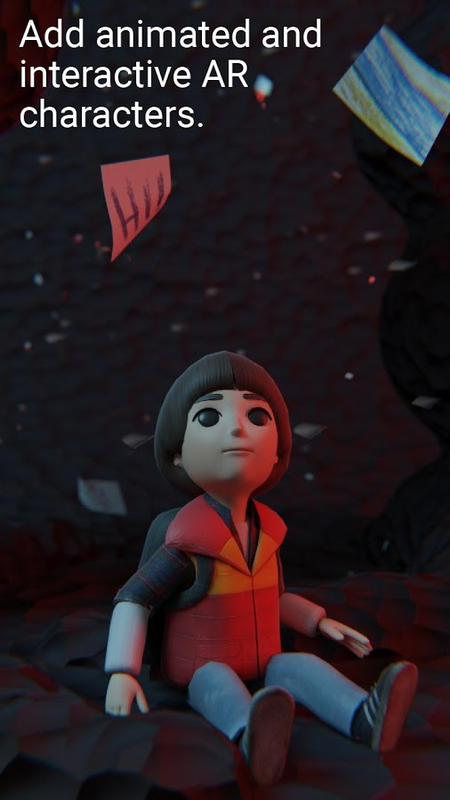 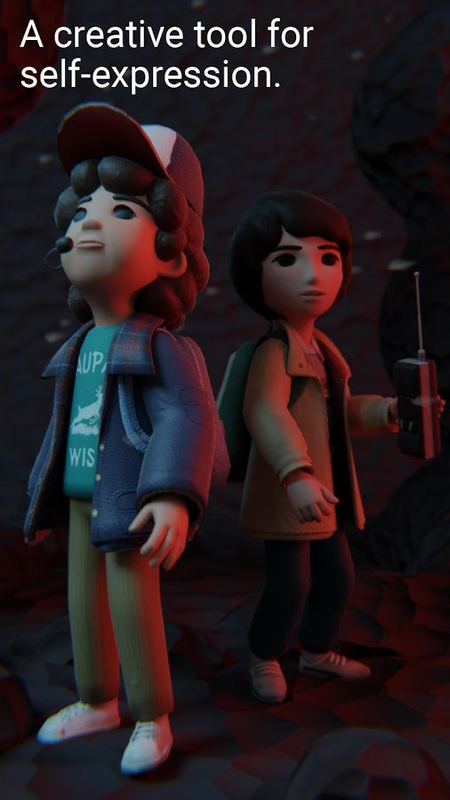 Some of Google's Playground apps are still limited to Pixel devices, and Playground: Stranger Things is one of them. 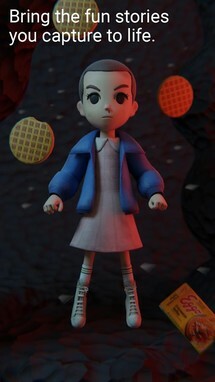 If you're a huge Stranger Things fan and also own a Pixel, then you'll definitely want to throw your favorite characters from the show into your photos by taking advantage of the Playground: Stranger Things app. 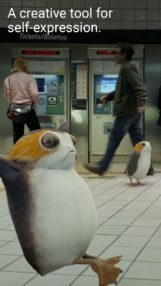 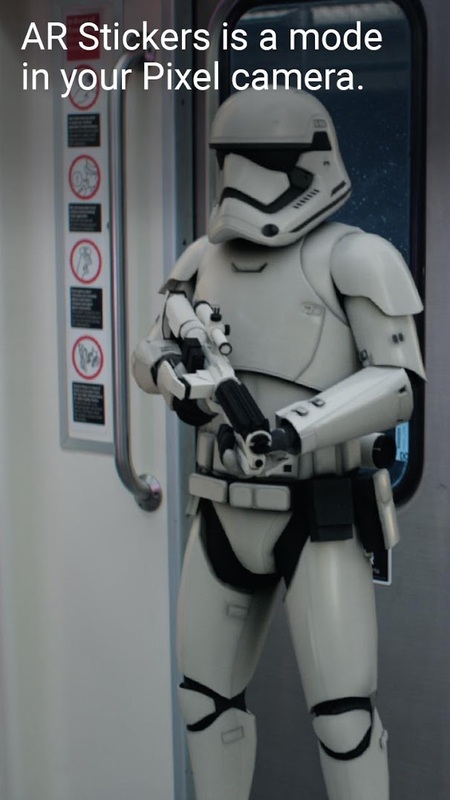 Playground: The Last Jedi is another augmented reality sticker app from Google, and it focuses on the characters from the latest mainline Star Wars movies. You will still need the original Playground app installed to use this pack, but if you are a huge Star Wars nerd and haven't lost interest after the short-sighted changes in storytelling and direction of the movie series, then you'll love this Playmoji pack. Besides branded content like the above Stranger Things and Star Wars Playground apps Google also offers cutesy Playmoji packs, such as Playground: Sports. 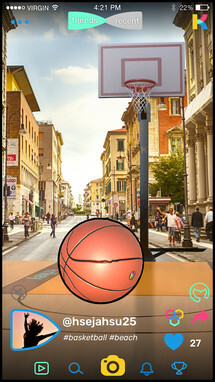 This particular release is centered around sports like basketball, football, and running. 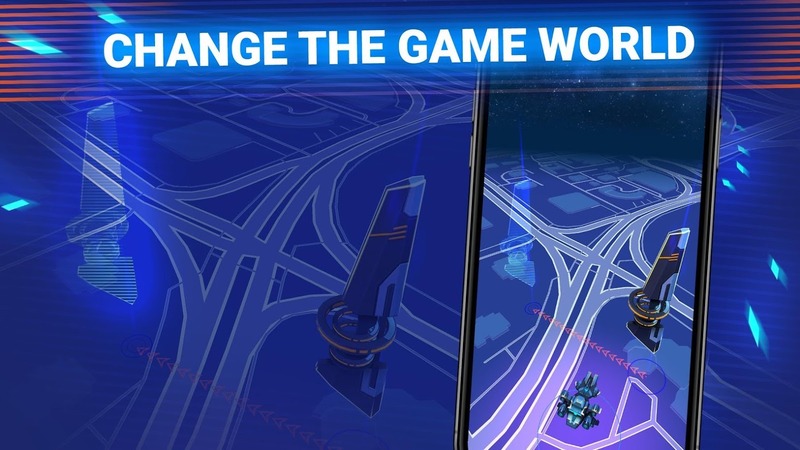 Like all Playground apps, you'll need to have the latest version of the Playground app installed on your supported device to play with this release. 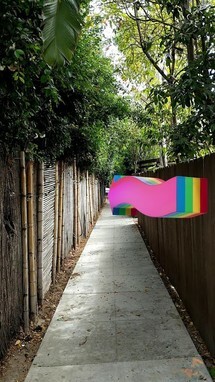 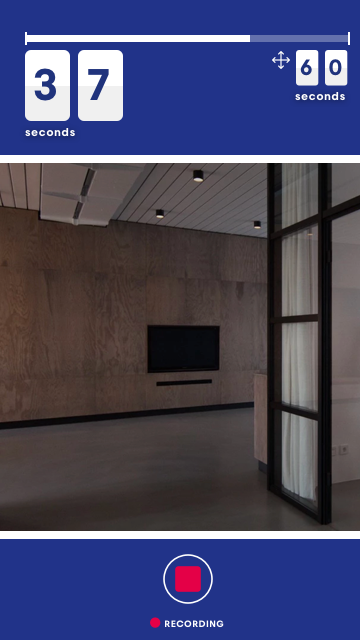 If you're not into sports or pop culture, then you may want to take a look at Google's Playground: Signs. 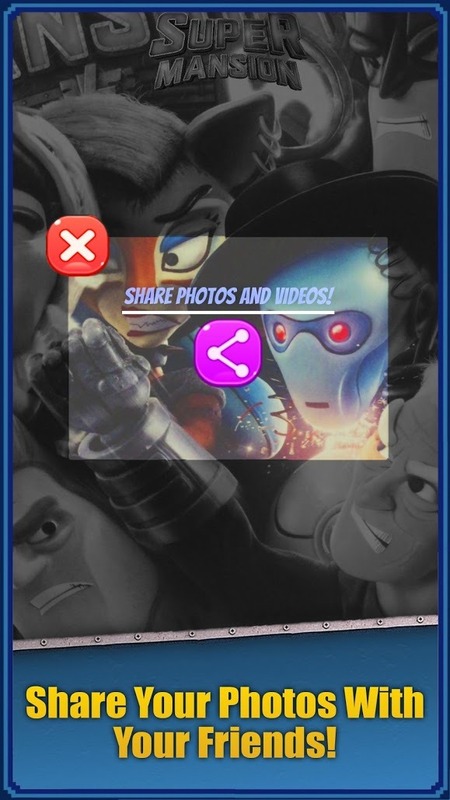 With this release, you can add all sorts of signs to your photos. 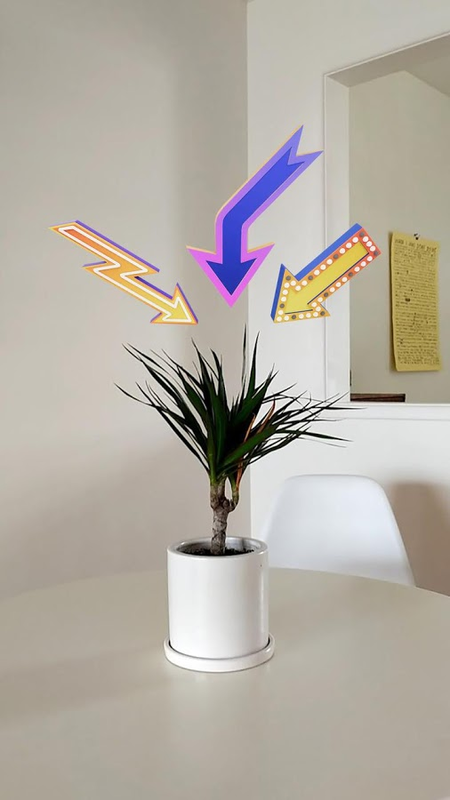 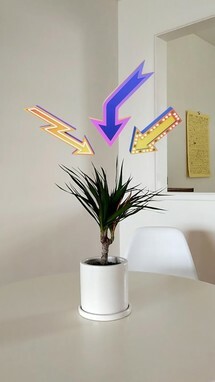 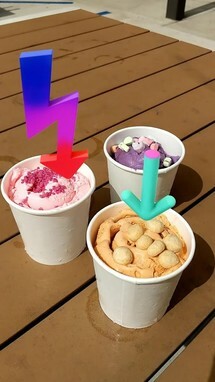 This pack can come in handy when trying to draw attention to something in particular in a photo, much like you would add an arrow to a picture using MS Paint, but obviously, this app offers arrows that are much flashier. 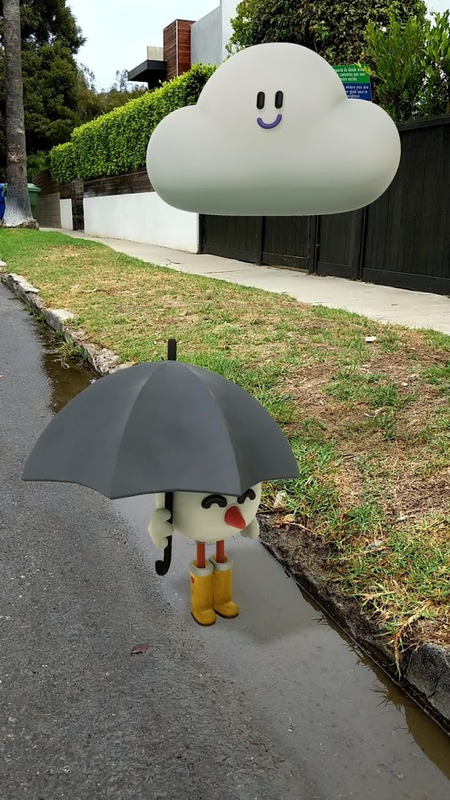 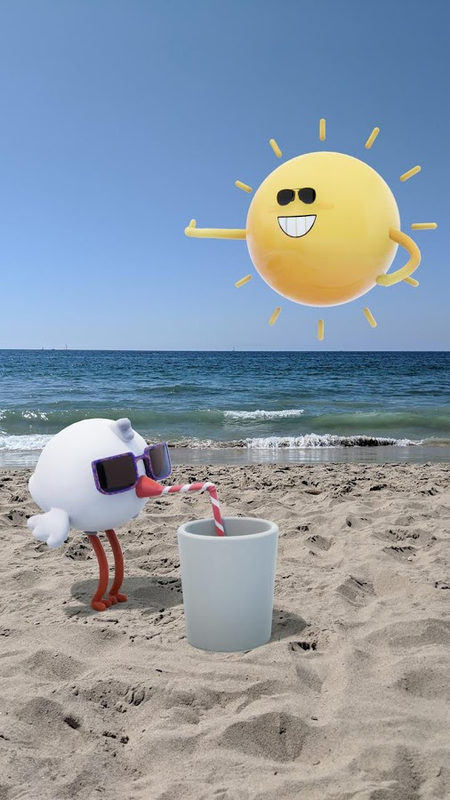 Playground: Weather is probably the most useful app out of all of these Playmoji packs from Google. I could actually see adding in cutesy weather elements to my photos and sharing them with my friends and family. There's something about a sun wearing sunglasses that never fails to appeal to me. 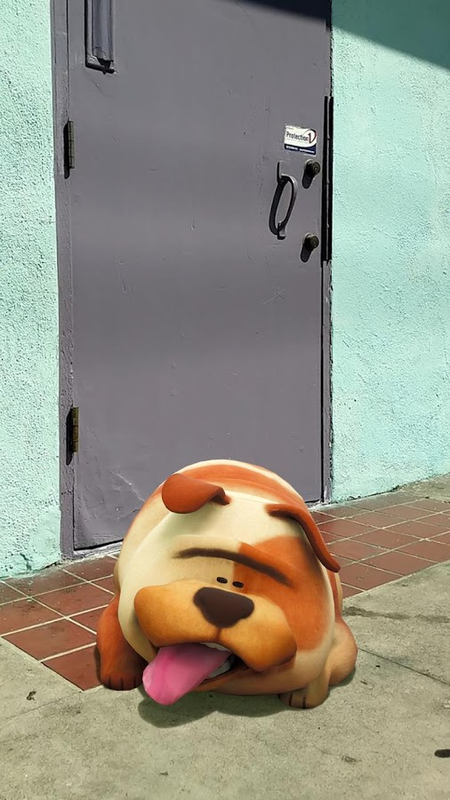 Playground: Pets is the last Playmoji pack in today's augmented reality roundup, and it obviously contains a bunch of adorable animal stickers that you can add to your photos. 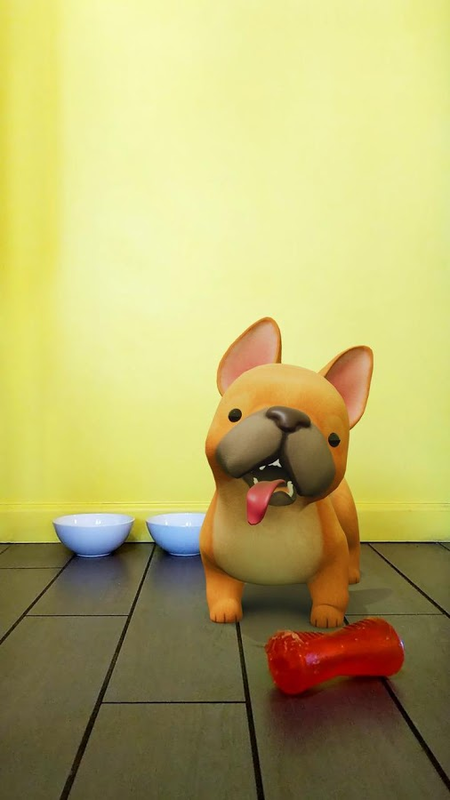 So whether you would like to add in a French bulldog, a Shiba Inu, a Labrador retriever, or maybe a cute kitten, Playground: Pets should have your needs covered. Holopipe sounds like it's some sort of holographic marijuana app, but that couldn't be further from the truth. 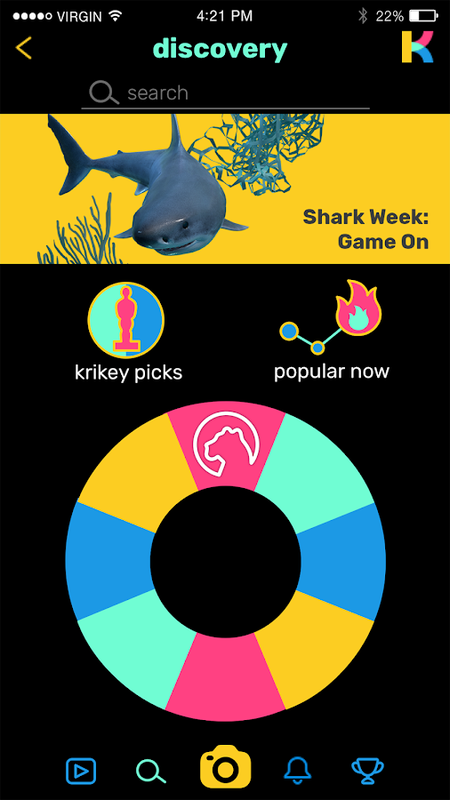 It's actually an app for visualizing creator-made content. 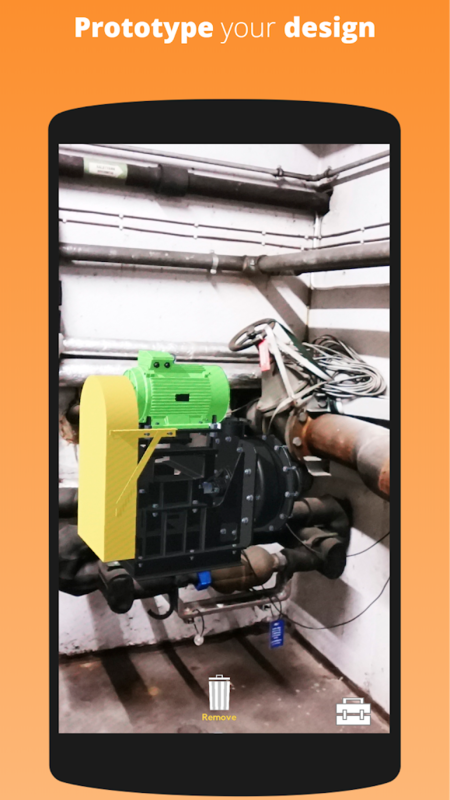 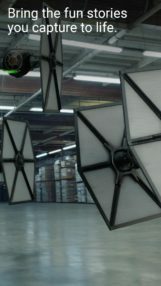 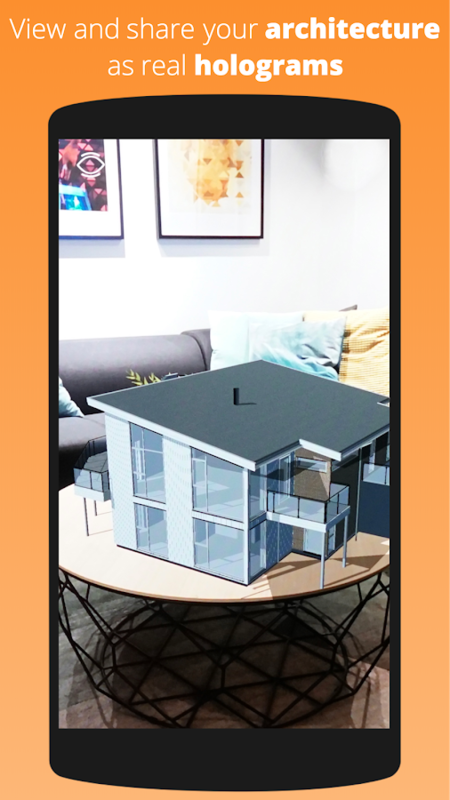 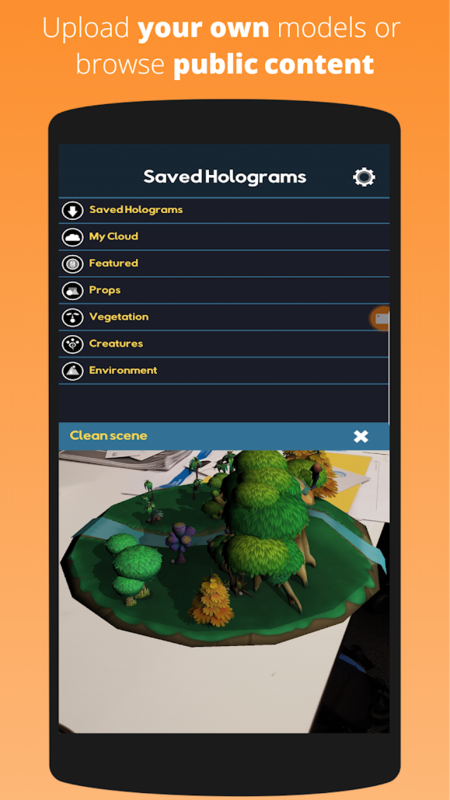 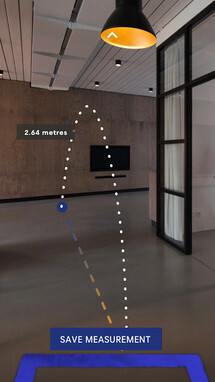 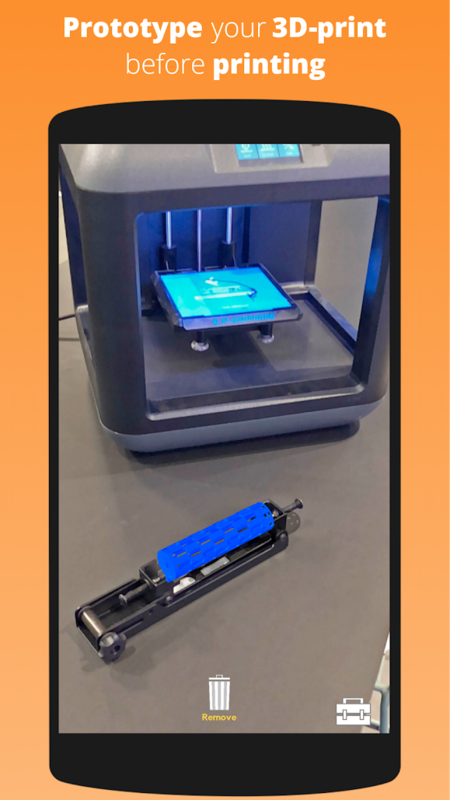 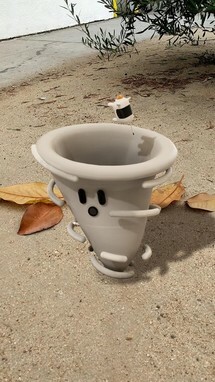 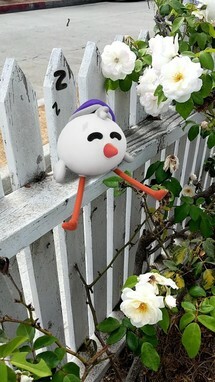 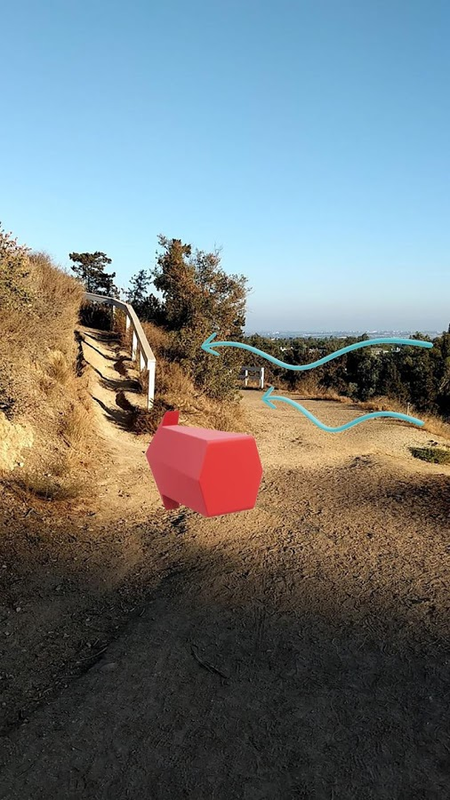 So say you designed a 3D object in your favorite creation program, you can then show off that object in a real-world environment using the app's augmented reality functionality. 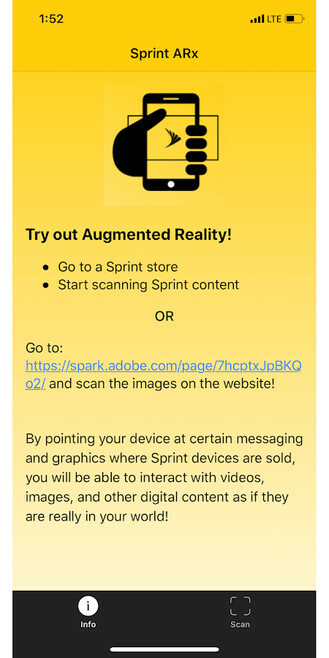 Sprint ARxis an educational augmented reality app designed to teach users about Sprint products. By pointing your phone's camera at specific Sprint signage, you can activate content that will inform you about that particular product. 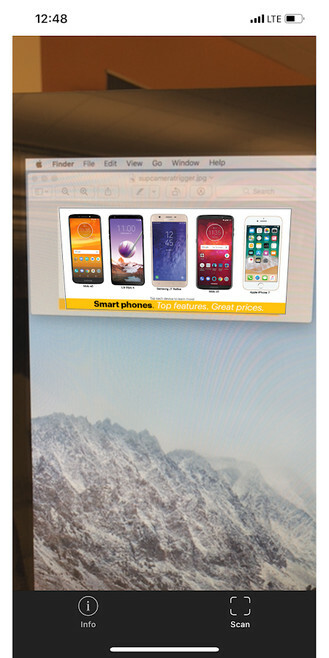 This way you can learn about Sprint products at a Sprint store when the employees are busy with another customer. 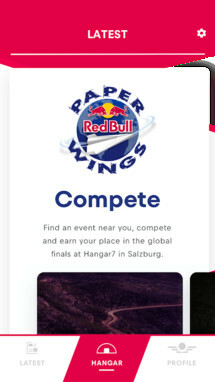 Red Bull Paper Wings is a worldwide paper plane flying contest that's judged on three categories, distance, hangtime, and aerobatics. 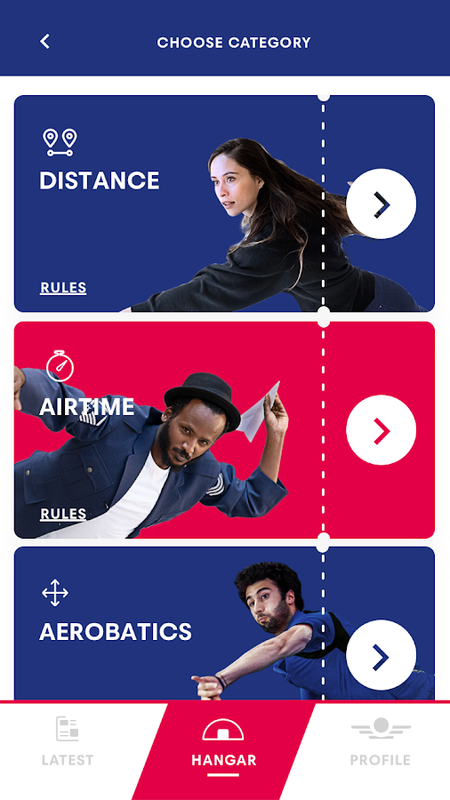 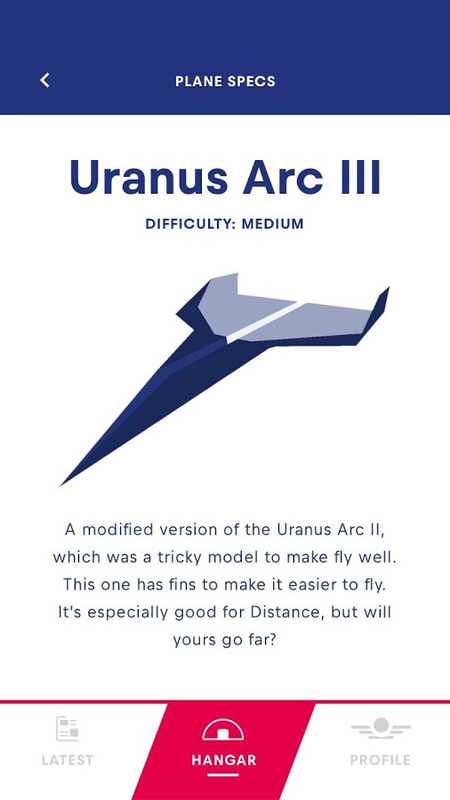 The Red Bull Paper Wings app is an augmented reality release designed to help fledgling paper pilots hone their skills as well as keep up to date with the latest competition news. Sony owns an animated show called SuperMansion that airs on its streaming service Crackle, and it was created by a few of the Robot Chicken folks from Adult Swim. 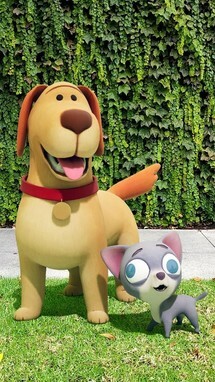 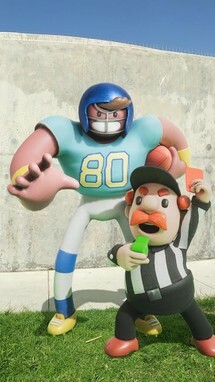 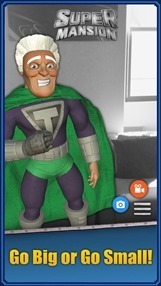 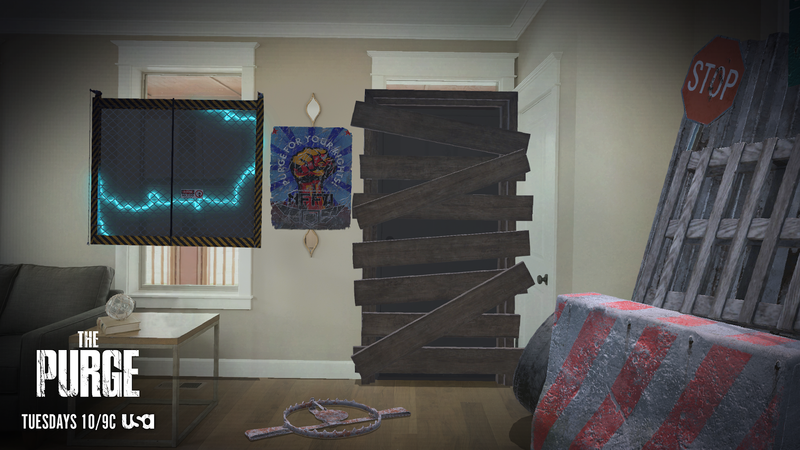 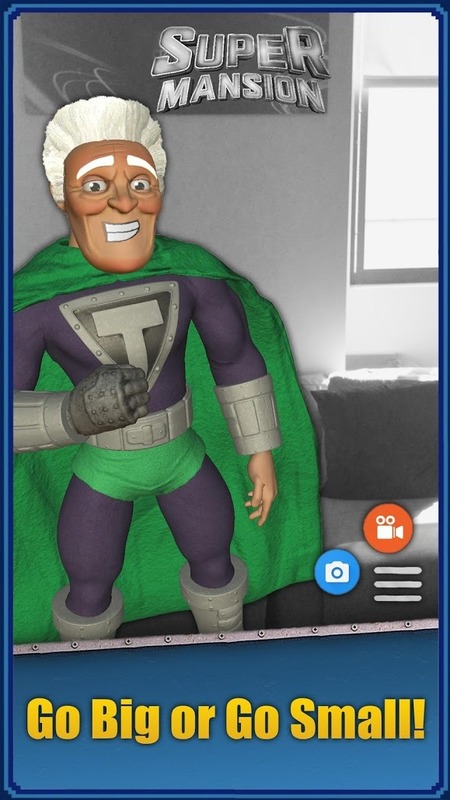 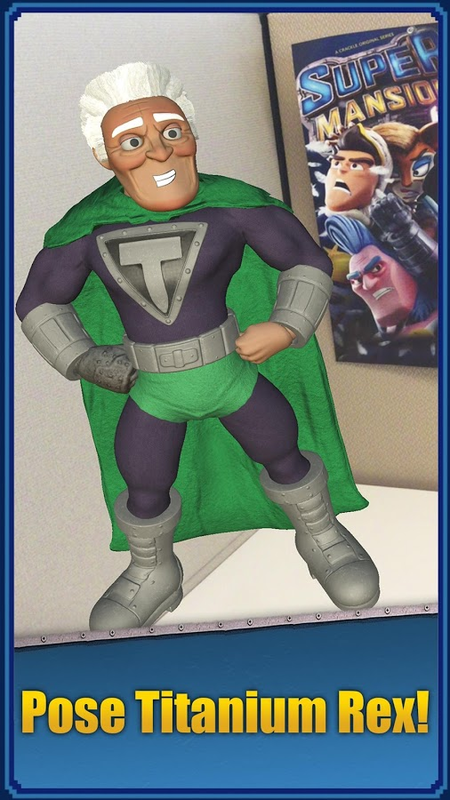 SuperMansion AR is an augmented reality app that ties into the show. 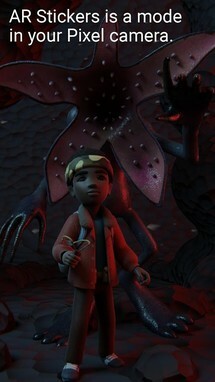 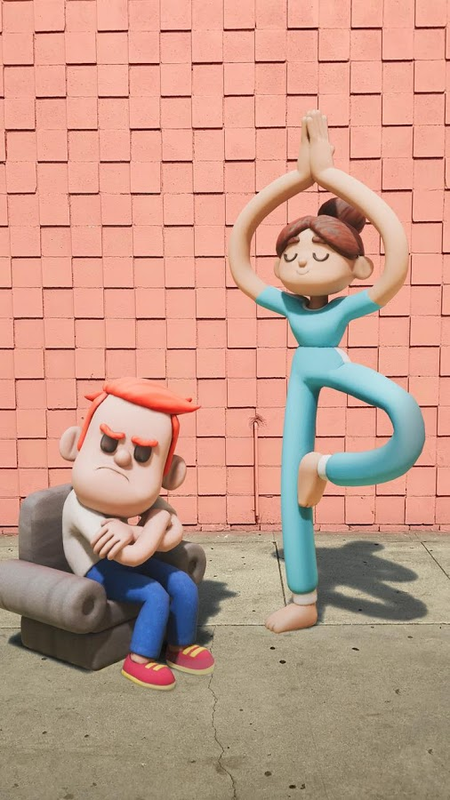 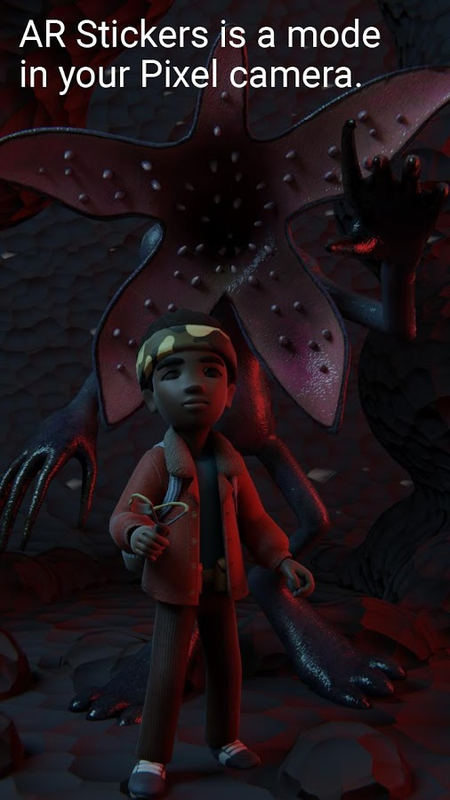 You can expect to find an easy way to stream the Crackle show from the app, and you can also pose and take pictures with the main character from the show using the app's AR functionality. 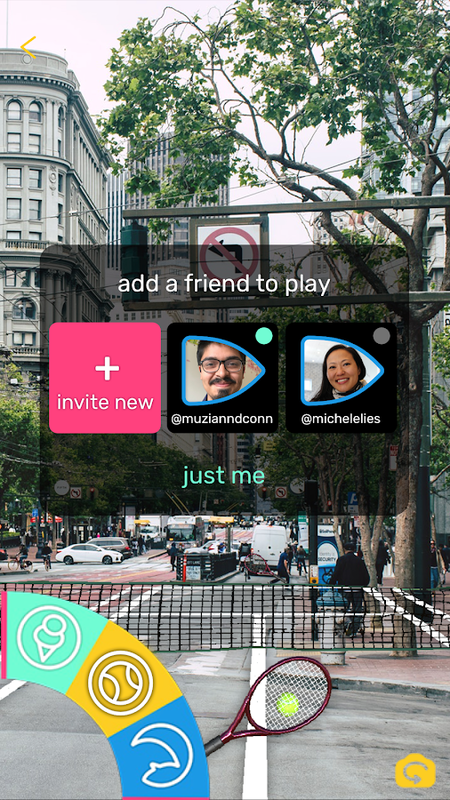 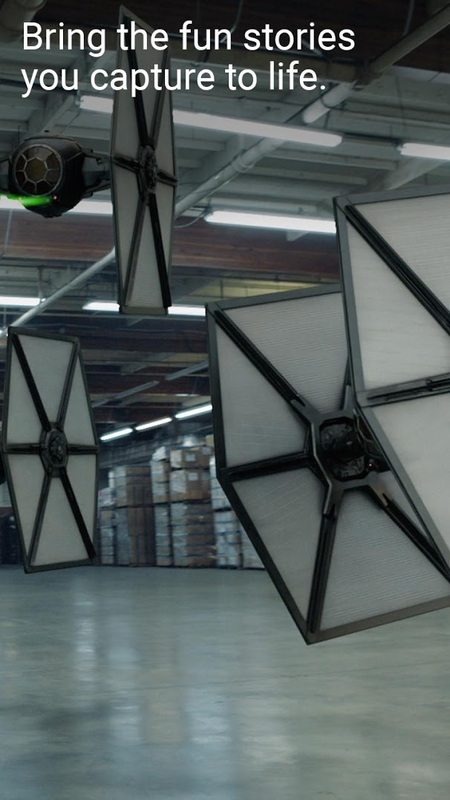 And that is the end of the latest augmented reality roundup folks. I hope everybody was able to find a few AR apps and games to make use of on their Android devices. 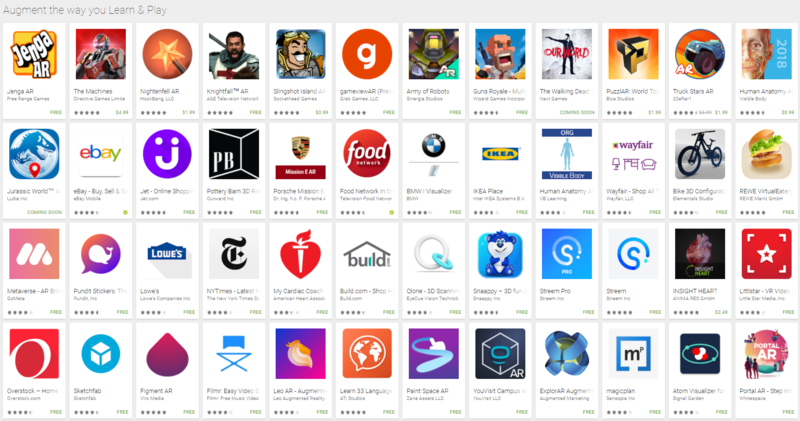 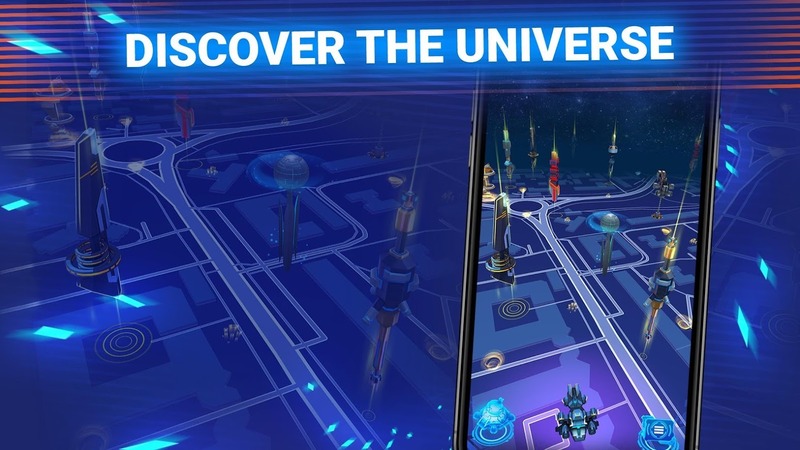 While it does appear that things have cooled off since last year's rush of AR releases, there are still a few notable titles trickling out on the Play Store. As your dutiful tracker of the latest Android app and game releases, you can rest assured that I'll continue cataloging AR apps and games for AP's next AR roundup.